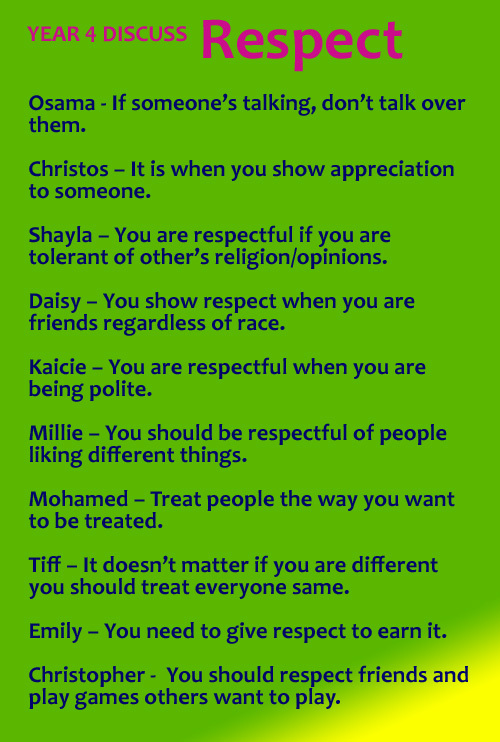 Today we have been looking at our school rules. 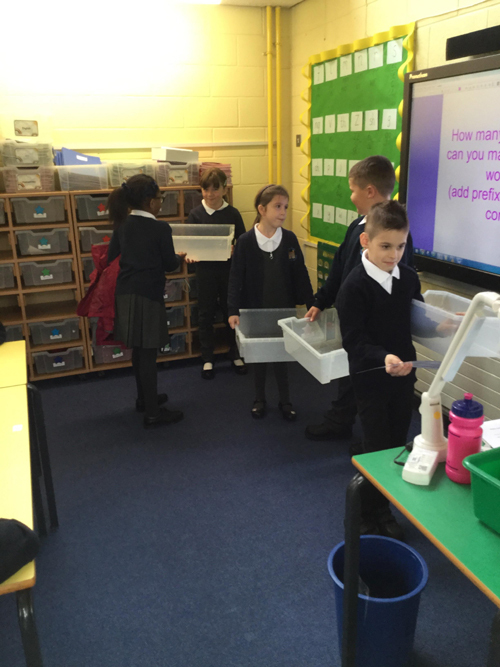 We have created some still frames of each school rule to try and show what we think it should look like! 1. 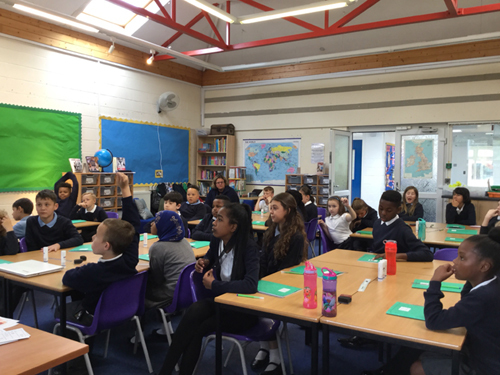 Behave calmly and safely in and around school. 2. Share values that make us good citizens. 3. Show respect for everything and everyone. 4. Listen to each other and follow instructions. 5. Work hard and take pride in what you do. Tiffanie – Sleeping on the floor abroad. I was worried about bugs! but lifts absolutely petrify us! Kieran – telling the truth. Kaicie – admitting you’re wrong. 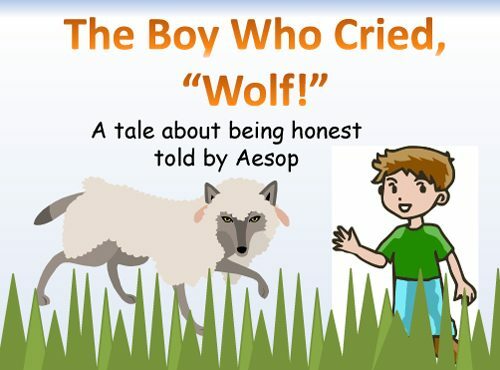 Robins then heard the story about ‘The Boy Who Cried Wolf’. 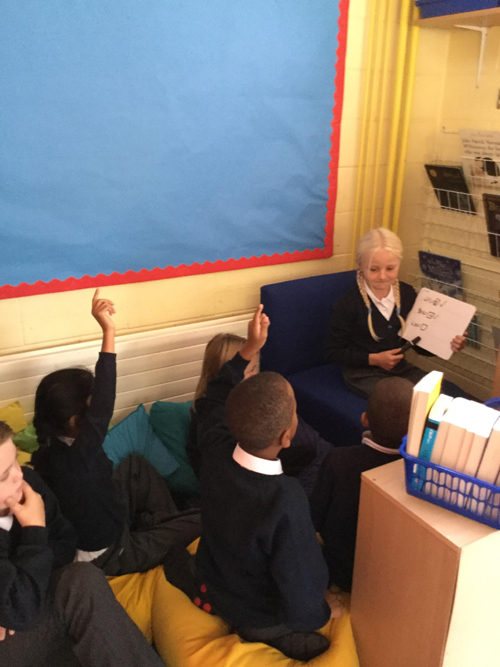 Then Mrs Sargant asked why should you always be honest? Cara – If you lie all the time no-one will believe you when you’re telling the truth. 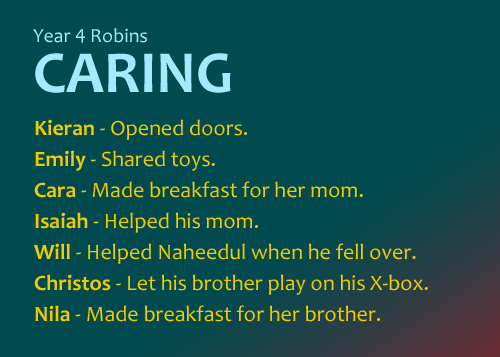 Robins agreed honesty is the best policy. 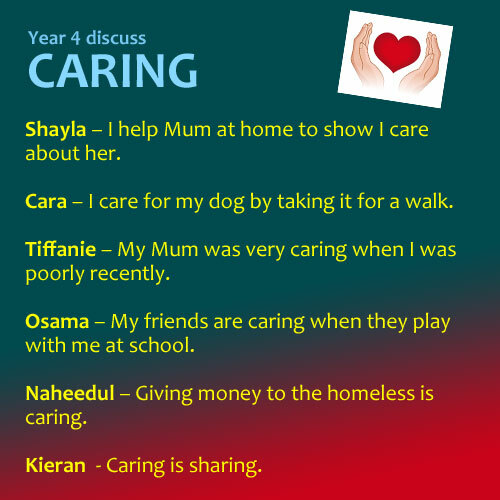 This morning, Robins discussed this months value word caring. 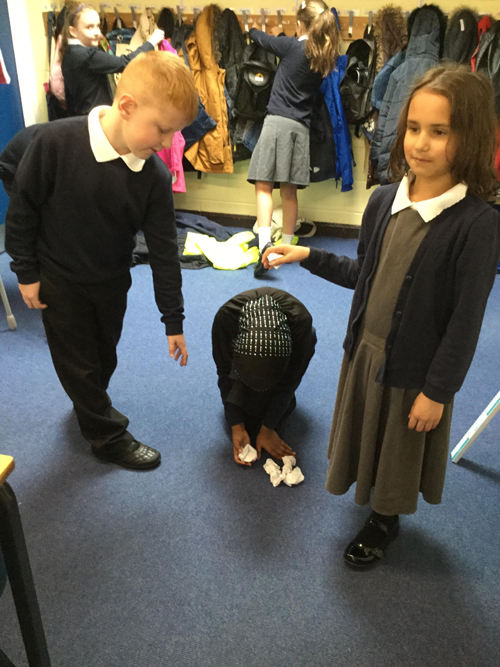 Mrs Sargant asked the children to give examples of when they have done something caring. This month’s value word is caring. 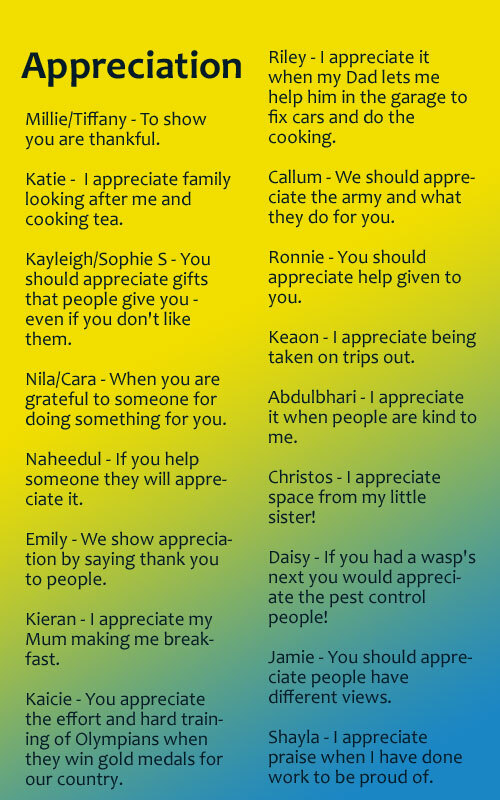 The class shared times when they have been caring or have seen a good example of it. 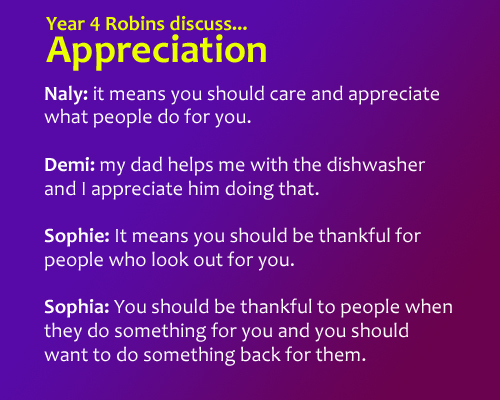 Today in Circle time, Robins discussed their understanding and the meaning of this month’s value word – appreciation. 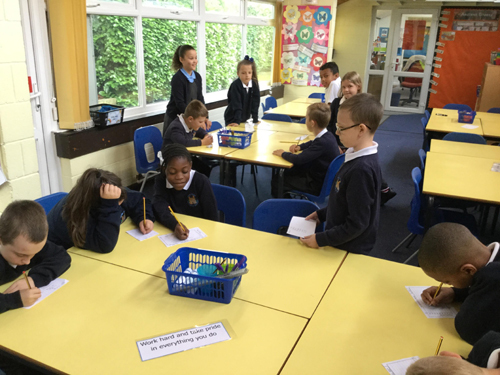 December’s value word is thoughtfulness, So in circle time today Robins were asked if they had been thoughtful this week. 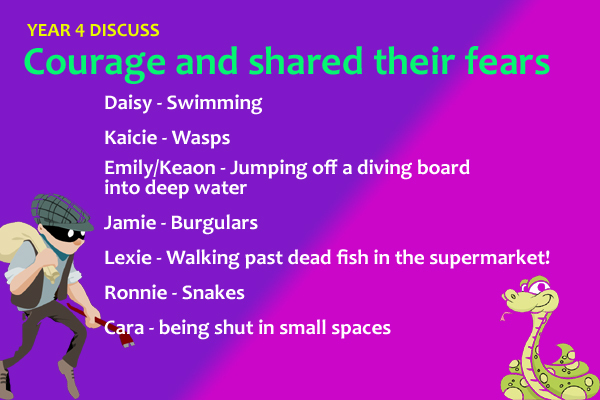 Here are some of the things they said.